Courts can have jurisdiction over a case either because of the subject matter (type) of the case (for example, only federal courts can hear bankruptcy cases), or because of the parties involved (i.e. someone who is local or a business that is located in that state). Within the last few years, the law has changed significantly when it comes to the latter. Specifically, in 2014, the U.S. Supreme Court dictated that when a company has very little connection to a state, and a lawsuit has nothing to with the company’s conduct in that state, a district court cannot adjudicate such a case, otherwise the courts would essentially have unchecked, unlimited global reach. Thus, absent some exceptional circumstances, a court’s authority to hear cases which arise within its geographic area (i.e. general jurisdiction) can exist only where a company is incorporated and/or has its principal place of business. Simply because a company does some business within one state does not necessarily mean that it can be sued in that state. Trying to demonstrate that a company’s activities within one state rise to the level of being incorporated or having its principal place of business there is difficult; thus, the only way to guarantee that general jurisdiction will be found is to sue the business where it is incorporated and/or has its principal place of business. Specific jurisdiction has to do with a defendant having certain minimum contacts within a state which then allows the court to hear a case if it is related to those minimum contacts. Only then is the Due Process Clause of the Fourteenth Amendment satisfied. This connection must arise from the contacts that the defendant creates. 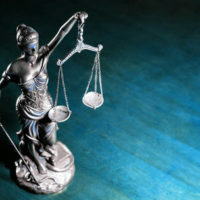 In other words, the plaintiff cannot be the only connection between that particular forum (court) and the defendant. Recently, the Supreme Court added that these considerations extend to whether or not a state may have a legitimate interest in the claims in question. Thus, if the plaintiffs are not state residents, did not suffer harm there, and all the relevant acts occurred outside of that state, the case cannot sufficiently arise out of or relate to the defendant’s contacts with that state for that state to exercise specific jurisdiction. Any company that is thinking about suing or is in the process of being sued very carefully needs to evaluate jurisdiction as soon as possible. If you are dealing with a business dispute, it is essential that you consult a legal professional that is proficient in business litigation. The Florida attorneys at Moran, Sanchy & Associates can help you find the best approach possible and avoid wasting time. Contact us today to schedule a consultation.